Two charities that work to prevent babies from dying and support bereaved parents are considering a merger. 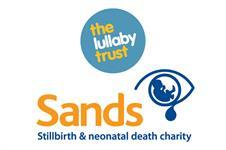 Sands and the Lullaby Trust have a combined annual income of £5m and jointly employ about 90 staff. The two charities, which are based in the same London building, announced this month that they were discussing the possibility. Trustees of both organisations have agreed that if a merger does take place it will result in the creation of a new charity with a new constitution. The two charities will approach stakeholders for views until the end of February before trustees make a final decision in spring. “We are exploring whether it would be a good idea, starting from the position of whether it benefits our beneficiaries,” said Dr Clea Harmer, chief executive of Sands, which supports people affected by the death of a baby. Its latest accounts on the Charity Commission website, for the year ending March 2016, reveal income of £3.5m and expenditure of £3.3m. Francine Bates, chief executive of the Lullaby Trust, said the two charities had similar visions and objectives and were used to collaborating on various initiatives. “We feel there is potential to do more together as one single entity,” she added. The trust’s latest accounts for the year ending June 2016 reveal income of £1.5m and expenditure of £1.6m. She said the initial reaction from her staff had been positive. “They feel they would be able to deploy their skills more widely,” she said.